Dr. Sameer Hinduja of Florida Atlantic University and Dr. Justin Patchin of University of Wisconsin-Eau Claire work together to research the causes and consequences of cyberbullying. In addition to advice for parents and teens about how to prevent and deal with cyberbullying, the professors provide a current list of anti-cyberbullying laws by state: http://www.cyberbullying.us/Bullying_and_Cyberbullying_Laws.pdf. Listen as Irene McDermott, author of The Internet Book of Life, shares with Georgia’s Barbara Dooley her own story of finding romance over the internet . This interview originally appeared on WGAU AM, News and Talk radio in Athens Georgia. Canadian computer guys Raul Rupsingh and Stephen Beath volunteered in senior centers and tested their simple 5-button interface with genuine grandmas. Now, their web-based subscription software is used in many Canadian retirement and nursing-home chains. The home version costs $8 per month or $149 for a year of access, support, and upgrades. It is available in eight languages including Hindi and simplified or traditional Chinese. PointerWare works on Windows-based PCs and tablets. It is not compatible with Apple products. what exactly is a senior? Of course, he’s a sharp, fit Colorado outdoorsman. It is ridiculous to put him in the same marketing category as a people old enough to be his parents. Yet, young engineers have a hard time imagining the needs of either baby boomers or the older silver generation who now live to be age 90 and beyond. The video phone of the future has arrived and it’s free. What a blessing for seniors who are separated from their families. “My 91-year-old grandmother in Tokyo uses Skype to keep in touch with my mother in Los Angeles,” writes special librarian Takako Nagumo. But Skype has practical implications beyond family cohesion. “My 95-year-old grandfather is lucky enough to have found doctors who will make house calls, but my grandmother is always concerned that she may not understand all of the doctor’s instructions, so when the doctor comes, she and my mother both log on to Skype, so my mother can take notes and confer with the doctor, too.” Install Skype on any web-enabled device that is equipped with a camera and a microphone, including smart phones. Computers designed for seniors feature easy access to this generation-spanning technology. Skype was recently purchased by Microsoft. After I turned on my Aunt Bert’s Wow! computer for seniors (http://www.mywowcomputer.com), I began to hook up her internet modem. Did it get its signal over a cable or the phone line? No! Following the suggestion of the Wow! computer people, Bert had contracted with Clear.com to receive her internet signal wirelessly through the 4G mobile network. We placed the modem near a window, plugged it in and voilà, it picked up the signal and began feeding high speed internet into the computer. Bert’s plan costs $50 per month and she can end the contract at any time. Clear.com is now available in 80 cities across the United States. 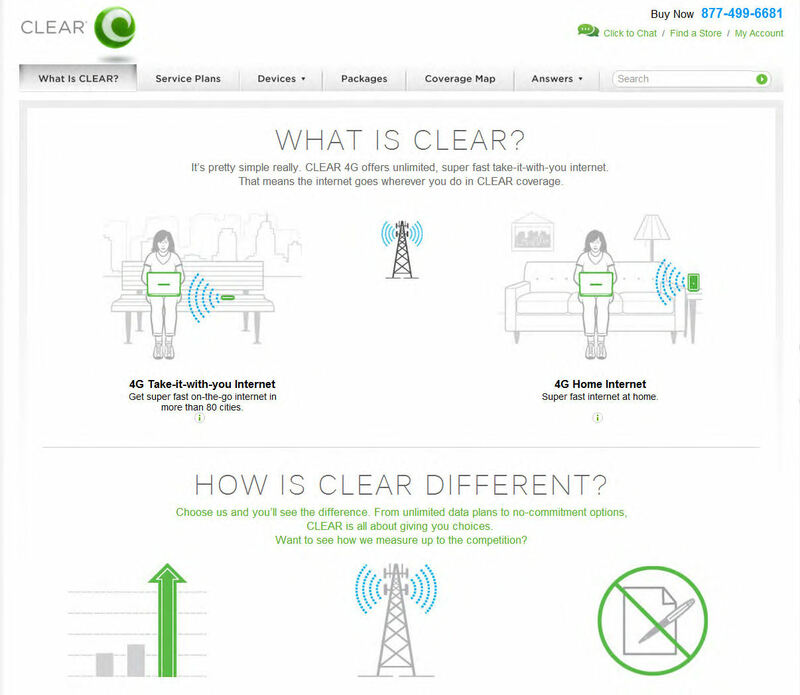 The company Clearwire, based in Bellingham, Washington, plans expansion of its network over the next year. Check the site to see if your city has coverage.